Each year a little group of ladies that I am friends with gets together and buys a BUNCH of strawberries from a local farmer. Last year one of my friends told me of a trick to making the task of slicing all the berries easy peasy! It's so great in fact that I feel a bit like a dunce in that I never thought of it! This ancient food processor of mine has a slicing attachment. I just cut off the green tops and drop the berry down the shoot and slice, slice, slice. Perfectly thin, sliced strawberries. In no time flat! 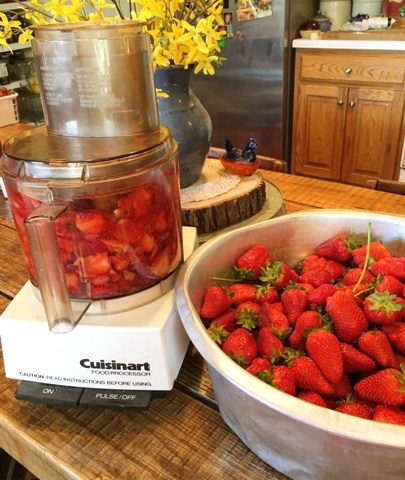 Last night we prepped all the berries that we will be using for jam today, plus we sliced up some for a delicious strawberry cobbler. 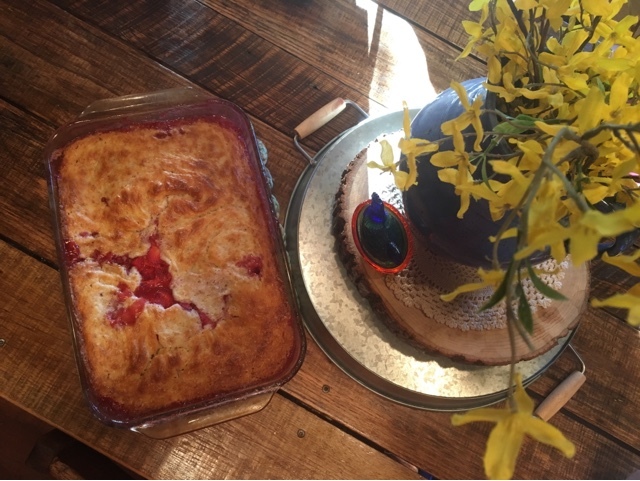 Strawberry cobbler is so easy and so good. 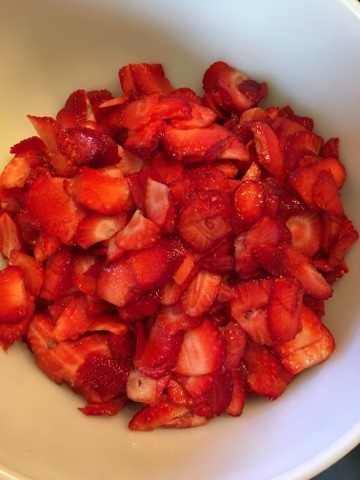 Pour crust mix over melted butter in pan, then pour strawberries (or whatever berry, fruit you like) over crust mixture. The crust will rise up above fruit and juice. Bake at 350* for about 40-50 minutes, til golden brown and bubbly. 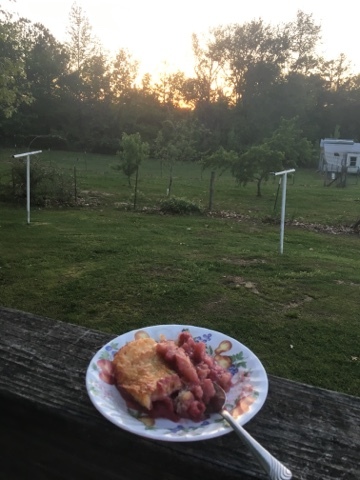 After everything was done, I had my piece of cobbler on the back deck as the sun went down. It was a sweet ending to a really great day!